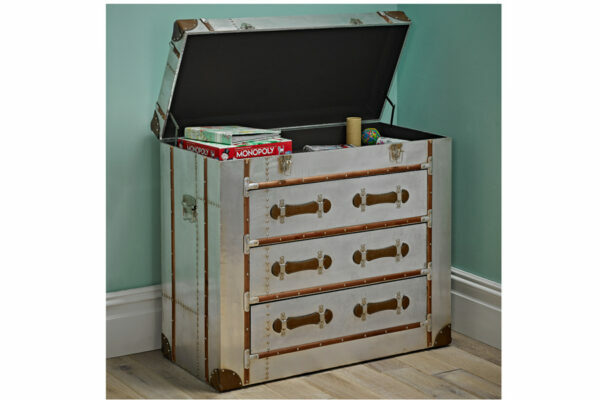 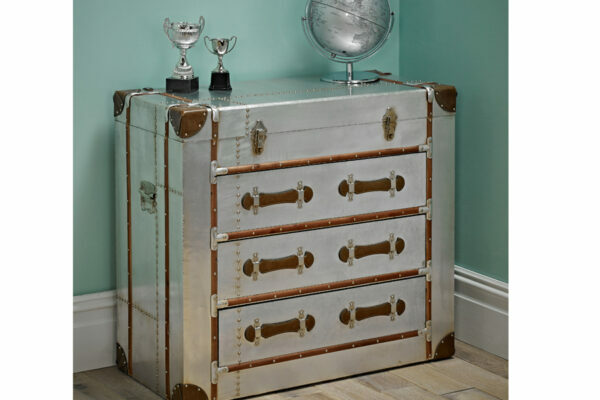 The stunning Jules 3 Drawer Chest is not to be missed! 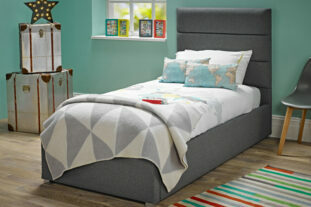 Featuring three spacious drawers and an open top trunk-style lid to provide you with that all important storage space. 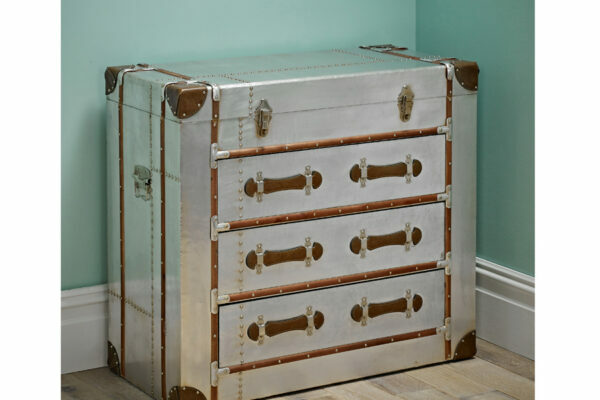 It’s contemporary chic design includes faux leather trim and corners, along with beautifully studded detailing as well as metal side handles and clasps for easy transportation. 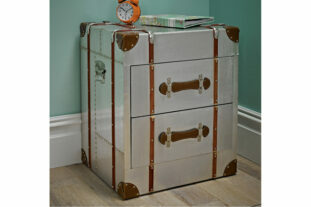 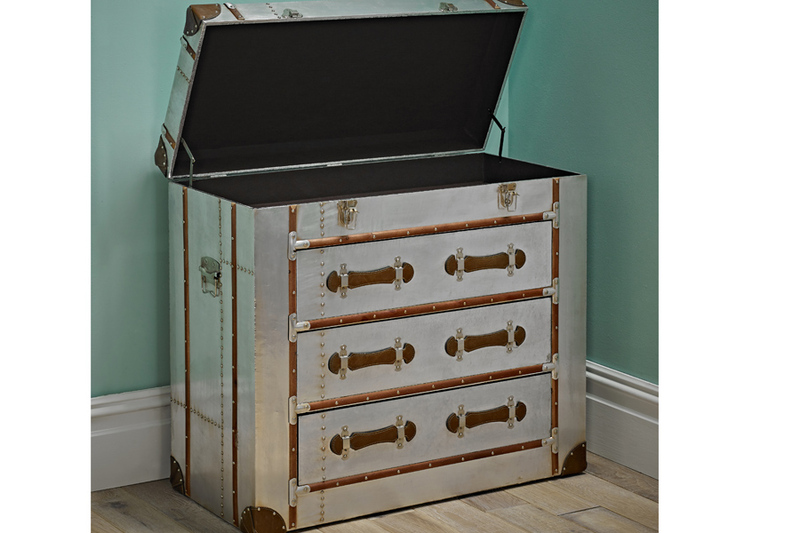 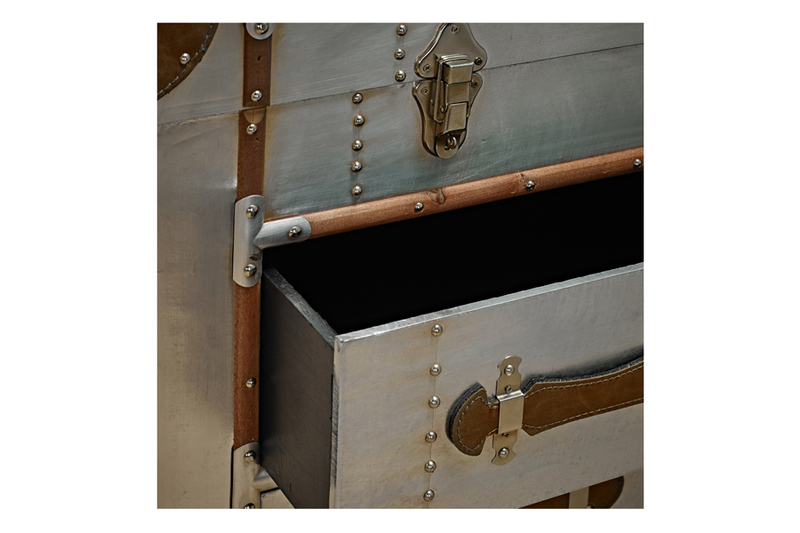 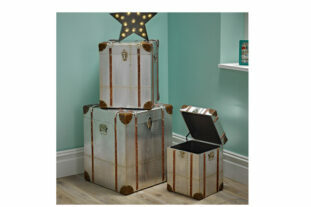 The chest is the perfect piece to complete any room and can be paired with other furniture in the Jules range.